When you’re getting a divorce, there’s no real way of knowing to what extent your decision will affect the kids. Still, if your marriage has created a toxic home environment, they’re probably better off getting some distance from it, said Rosalind Sedacca, a divorce and parenting coach and the author of How Do I Tell the Kids about the Divorce? Below, Sedacca and other child-centric divorce experts share seven reasons why divorcing is preferable to staying in an unhealthy marriage. 1. You may not be sparing your children emotional and psychological scars by staying together. You may live under the same roof, but your nuclear family status means nothing if your kids are only used to seeing you fight, reminded Sedacca. 2. Your kids will feel uneasy in their own home. Kids thrive on predictability. Chronic marital conflict undermines their sense of safety and sameness at home, said Deborah Mecklinger, a mediator and therapist based in Toronto, Ontario. 3. It may lead to low self-esteem for your kids. Children are likely to grow into “adults who have low self-esteem and trust issues” if they’re exposed to parents who are chronically unhappy. 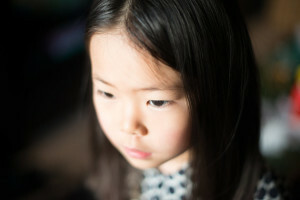 A tension-filled home can leave even the most confident, sure-footed child feeling uncertain and rejected. Indeed, studies have shown that being raised in a high-conflict home can cause children to have feelings of low self-esteem and unworthiness, said Terry Gaspard, a therapist specializing in divorce and the author of Daughters of Divorce. 4. Kids often feel responsible for their parents’ happiness. It doesn’t matter how much you try to shield your kids from the unhappiness and lack of love between you and your spouse — chances are, they’ll pick up on it, said Betsy Ross, a Massachusetts-based psychotherapist. This isn’t the message most parents want to convey, of course, but “it’s important to recognize that your child may believe that your anger, disinterest or frustration is their own fault,” said Ross. 5. Unhappy spouses are often less present as parents. When it’s a struggle to get along with your spouse, you may not be raring to head home to your family every day, said Mecklinger. 6. You’re showing your kids an unhealthy model for relationships. Parents in high-conflict or extremely unhappy marriages tend to provide their children with an unhealthy template for romantic relationships in the future, said Gaspard. 7. Divorce can bring peace to the whole family, if it’s handled correctly. 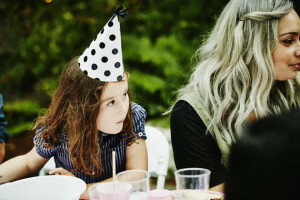 Co-parenting with an ex may not be how you envisioned raising your kids, but when the alternative is two incredibly unhappy adults parenting under the same roof, it may be your best option, Sedacca said. If you are looking for an attorney who will realistically assess your case and keep both your long term and short term goals in mind, then I may be the attorney for you. Please contact me at 919.336.9545 for a consultation. Copyright 2016 Kelly Thompson Law Firm. All rights reserved.